With nearly a decade leading the steps of travelers on the Argentinian roads and a vision of deep respect for nature heritage of their Andean roots, Edgar brings his experience and knowledge to the service of the agency. 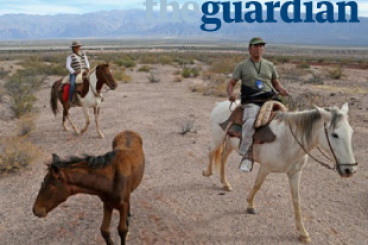 Efforts to address the ways towards sustainability is provided by Chantal who followed her vocation came to Argentina to complete his Masters in Sustainable Tourism in the National Univerdidad of Salta. Origins es una E.V.T. (Empresa de viaje y Turismo) oficialregistrada en el Ministerio de Turismo de la Nación brindando toda la seguridad y garantía, requerida por los viajeros que nos brindan su confianza. 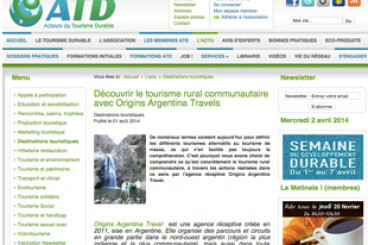 Media release from the site "Actors of Sustainable Tourism" about the horizontal partnership work done by Origins Argentina Origins in the context of Rural Community-based Tourism. 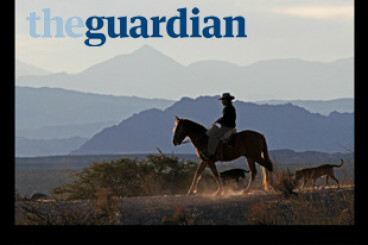 Published in the British newspaper "The Guardian" by the prestigious journalist and writer Kevin Rushby during his stay in the Northwest of Argentina.